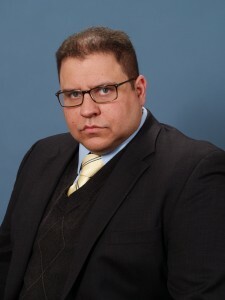 COREY P. MORANO, Esq. born Yonkers, New York and raised in Paramus, New Jersey. Received J.D. from Seton Hall Law School, 2006; Graduated Paramus High School, 1993. B.A. from Lehigh University (Psychology, 1997); M.A. from University of Hartford (Experimental Psychology, 1999). Admitted to New Jersey Bar, 2006; United States, District of New Jersey, 2006; District of Columbia, 2010; United States Supreme Court, 2013. United States Court of Appeals for the Armed Forces, 2017. Mr. Morano’s practice includes general litigation, commercial litigation, workers’ compensation (petitioner and respondent), criminal defense, municipal court, traffic, DUI/DWI, real estate, collection, personal injury and more. Mr. Morano has an excellent track record engaging in litigation for individuals and businesses at municipal, state and federal court levels throughout all of New Jersey. *Super Lawyers and Rising Star Disclaimer: The list was published in the April 2014 and April 2013 editions of New Jersey Monthly and New Jersey Super Lawyers. Only 5 percent of lawyers in the state are named in the Super Lawyers list and they represent more than 70 areas of practice. Super Lawyers selects attorneys using a rigorous, multiphase rating process. Peer nominations and evaluations are combined with third party research. Each candidate is evaluated on 12 indicators of peer recognition and professional achievement. Selections are made on an annual, state-by-state basis. For information on the selection process, please visit: www.superlawyers.com. Super Lawyers is a private organization, not a public certification process. Accordingly, no aspect of this advertisement has been submitted to or approved by the Supreme Court of New Jersey.